This CAC SOH-55 8 oz. Soho peach bowl is perfect for serving side dishes, soups, salads, and more. Like the rest of the Soho pattern, this 8 oz. 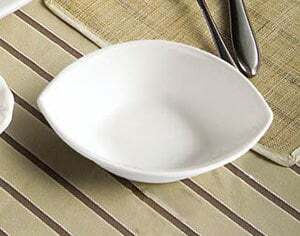 bowl features flowing, contemporary lines and a beautiful american white color.